Today we reached a new milestone in bookitlive's history by going over 4 million bookings made through our online booking and payment software. With the daily speed of bookings being added increasing everyday, the growth towards the next million is looking very close. While most of the bookings done through bookitlive are related to Driving & Golf Lessons, activity centres (Trampoline, Rock climbing, Go Karting) Physio’s and health services there are very many different kinds of businesses being booked within these millions of bookings and they all tell their own story. The world is seriously becoming more digital and companies selling services are increasingly understanding the benefits of having their services bookable online – mainly because of increased sales and customer satisfaction when customers are able to book their own services in the way the want to, whenever they have time 24/7. Our customers range from small one-person entrepreneurs to companies with hundreds of employees in tens of locations. bookitlive is being used by stock-exchange listed companies to small startups. The bookitlive online booking software is embedded in 100's of websites around the world. 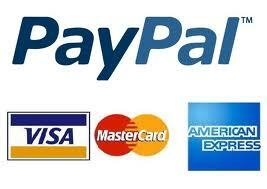 We are under the covers processing online bookings and payments 7 days a week, 24 hours a day.